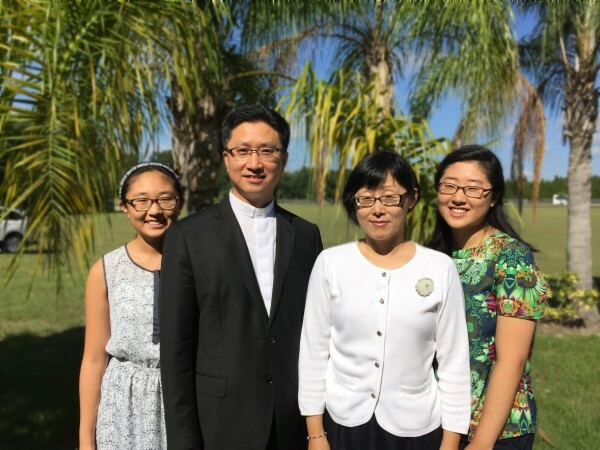 Reverend Sueng-Lin Baik graduated from the Methodist Theological Seminary in 1993. After further studies, he also received a Masters degree in 1995. He was ordained in the Seoul, Annual Conference of the Korean Methodist Church in 1996. After serving in local churches, he also served as a Naval Chaplain in the Korean Military. He finished a second Masters Degree at the Wesley Theological Seminary in Washington, DC in 2003. At this time, he is studying to complete his Doctorate at the Wesley Thelological Seminary. He served as the Senior Pastor at the Salisbury Korean United Methodist Church (Maryland) from 2002 to 2011. He has been our Senior Pastor at Our Church since 2011. As a faithful Servant of God, he has been called to lead our Congregation. We are blessed to have Pastor Baik and his family. As an ambassador, he helps us see God’s love in all of the Tampa Bay communities. Pastor Baik’s Sermon: The Church is One!